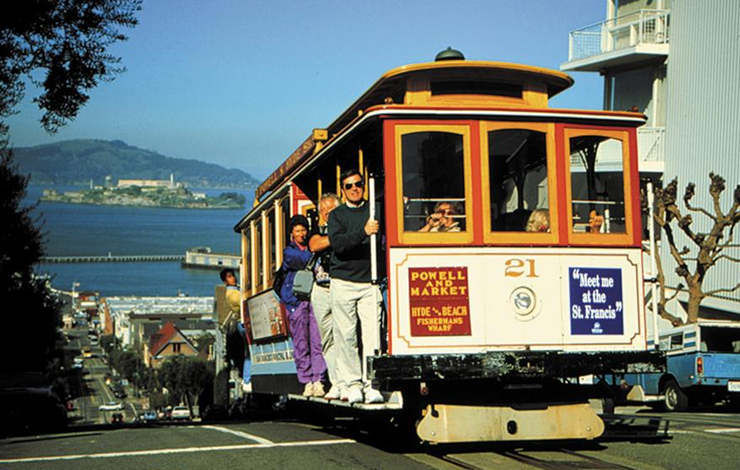 The San Francisco Bay Area has long been known as the mecca for documentary filmmaking. Ever since the early '60s, when smaller and lighter 16mm film cameras enabled portability and the turbulent political climate provided a tableau, documentarians found themselves recording history. "It was, ‘Grab a camera and film the revolution," Gail Silva remembers. "A lot of the burgeoning documentary stuff had to do with the political times." Silva is San Francisco's doyenne of independent film. Formerly the head of San Francisco's Film Arts Foundation, she is now an independent consultant to the filmmakers and films she loves so much. "People talk about the light here!" she exclaims, alluding to the element that attracts cinematographers to the City by the Bay. "There's a fierce love of this place," says documentarian Jon Else, head of the documentary program at University of California Berkeley's School of Journalism. The graduate program matriculates on average 10 lucky individuals annually. The Bay Area draws film students and emerging filmmakers every year despite the lack of a film industry or production enclave. Couple that with ever-shrinking public funding, and the true inspiration is how San Francisco Area filmmakers are making it work and making a living with the resources at hand. Jen Chaiken moved to the Bay Area from New York to produce My Flesh and Blood, Jonathan Karsh's 2003 award-winning documentary on Susan Tom, a single mother raising her 11 adopted, special-needs kids. Produced under Chaiken Films, the doc aired on HBO. "San Francisco has a history of operating on its own terms," Chaiken muses. "It's open to people; you don't have to work in certain parameters. It encourages thinking outside the box, and that can be inspiring for the filmmaking process." In the spirit of operating on one's own terms, Chaiken recently launched 72 Productions, a narrative and documentary production company based both in Los Angeles and San Francisco. "It's advantageous because I can have contacts with LA feature film companies who are now interested in documentaries," she says. For her next projects, she is only considering documentaries that will be developed in partnership with cable networks or produced with private equity funds. Why not grants or public funding? "Well, I originally came from that world," Chaiken says, referring to the documentary on which she got her start: Family Name. Filmmaker Macky Alston's personal journey to discover his family roots in the American South, the film was made with grants from the Ford Foundation and the Jerome Foundation, among others. "There is such competition for these grants," Chaikin maintains. "Some films are better served by this process. But there are other distribution and production entities that didn't exist even five years ago--especially for documentary topics with a commercial focus or bent. There is a proliferation of distribution channels now." George Rush echoes Chaiken's point. An entertainment lawyer and producer who also sits on the board at Film Arts Foundation, Rush primarily works with emerging filmmakers. "If you're able to get grants, you're an established filmmaker," he says. "If your doc doesn't fit the PBS mold--and PBS tends to be pretty broad--you have to raise the money in other ways." Rush calculates that 90 percent of his clients raise private monies to fund their projects. "There is now just less government money, less grant money for filmmakers. What fills the void is private funders or HBO. It's harder to make films for film's sake." "Lots of filmmakers come to me and say, ‘Is there a list of rich guys who invest in film?"' Rush laughs. And yet, one can almost forgive the naivété because funding for an independent project is the most elusive and hard-won element in filmmaking. Silva confirms the difficulty for emerging filmmakers to get initial funding. When she served as executive director at Film Arts Foundation, she established the film organization's grant program, which offered development and production grants to both narrative and documentary filmmakers. "First monies are always the hardest to get," she maintains. "You can also raise seed money through donors and interest groups--people who are interested in the issue. That's the bedrock of how films got made initially." San Francisco filmmaker James Hong makes non-narrative, experimental shorts and is the beneficiary of a $3,000 FAF development grant for New History Zero (working title), a documentary feature on Japan and revisionist history during World War II. Hong attended film school at USC, dropped out, moved to San Francisco, and spent the next 11 years making shorts--11 of them, eight of which he funded himself from his day job as a beta-tester for a Web TV company. "I work using film, so it's more expensive," Hong says. He has received a few grants over the years, but if anyone is making film for film's sake, it's the experimental filmmakers, who create "no-market" films, as Hong calls them. "These are very non-mainstream. We won't make money on them." And because his films combine new and found footage, where rights are not easy to clear, the films can't be easily shown. "So there's not a big audience for these films," says Hong. "The audience is other filmmakers." Hong got a big dose of validation when his short The Denazification of MH was selected for screening at the Rotterdam Film Festival in January. New History Zero however, is having a rough go. Turned down by the Center for Asian American Media for funding because the rough cut did not present a balanced-enough view from both sides of the Chinese and Japanese conflict, Hong was able to obtain small donations from private organizations and individuals. Several of the funding organizations serving independent filmmakers are based in the Bay Area. Emerging filmmakers lucky enough to live in California and the Pacific Northwest can apply to the Pacific Pioneer Fund, which awards grants ranging from $1,000 to $10,000 for film projects. A filmmaker can only be funded once in his or her career by the foundation. Other grants for both emerging and more established filmmakers who are in the development stage of a project include the Fleischhaker Foundation, which gives grants for Bay Area residents only, and ITVS, which has set up the Diversity Development Fund for minority filmmakers, in addition to a separate Research and Development Fund. "We noticed a huge lack of funding for projects at the research and development stages," says Kathryn Washington, ITVS' programming manager. Dan Geller and Dayna Goldfine, the husband-and-wife collaborators behind Ballets Russes (2005), know first-hand the frustrations and caprice of the grantwriting circuit. After directing and producing five documentaries together, Goldfine describes the process of applying to the various foundations as doing their "due diligence." "I don't want it to seem like I'm asking permission to do a project," she says. That was the feeling Goldfine got when they were writing grant proposals for Ballets Russes. They had already started filming and submitted an application to ITVS' Open Call fund. "We were told that one person on the [evaluating] panel supported it, the rest did not," remembers Goldfine. Geller and Goldfine had enough conviction to realize their film despite the rejections. The filmmakers received funding from the National Endowment for the Arts (NEA), the Rudolf Nureyev Dance Foundation, the Fleischhacker Foundation and Dance Films Association. Altogether, the grants made up only a quarter of the film's budget. The rest came from the filmmakers, whose day jobs entail producing corporate and branding pieces for the tech and business worlds. "The grant and funding process is not a fair evaluator [of your project], because of how capricious it is," observes Goldfine. Geller maintains, "If you're compelled to make your film, you'll do it; it will find its own audience; it will find its way out there." "The opportunities are widening," says Rush. "It's a changing field. There's a much larger appetite for documentaries. You can make documentaries cheaply and buyers recognize the viability. There has been more potential for return than there has been before. It's a great time to be a documentary filmmaker here." Rush has noticed a generational shift in documentary filmmaking in the Bay Area. "There are new voices, new stories being told in different ways than from the initial generation of doc filmmakers. The films are driven by social issues, but they are less in a politicized sense." The influx of new perspectives is due in part to Current TV, the independent network started by former US Vice President Al Gore and Joel Hyatt. Launched in August 2005, it's the only network that is comprised largely of viewer-created content, or as they say in the halls at Current, "VC-Squared." To date, Current reaches about 38 million homes, and targets viewers between 18 and 34. Why start the network in San Francisco? "San Francisco has an untapped creative market," explains Jason Meil, senior vice president of original content and acquisitions. "There's lots of talent here. It's also where what's happening in media is right now. San Francisco is central to alternative media and independent voices. What's happening on Yahoo is just as important as what's happening on NBC or CNN; it's just as important as the traditional news outlets." In addition to viewer-created and commissioned work, Current TV has other avenues of acquiring content by working with Bay Area entities like Google and ITVS. To remain up-to-the-minute with news stories, Current TV created Google Current, two- to-three-minute news segments with content taken from Google's live data feed. The station has immediate access to the news viewers who are most interested in reading on Google, and can then continuously update the segments. In its relationship with ITVS, Current TV airs "cut-downs" of ITVS-funded documentaries as promos for the long-format films. "Most of our demographic doesn't watch PBS," says Meil, "so this is a way to introduce these documentaries to our audience." Most "pods" (news segments or full stories) average two to seven minutes. Meil says that Current has gotten criticism for promoting short attention spans, but the format is working, according to him, because "It's about how people use media. We don't rely on how traditional media works." "The younger generation absorbs media in a different way," says Henry S. Rosenthal, who produced Jeff Feuerzeig's The Devil and Daniel Johnston. Rosenthal also notices that younger documentary filmmakers are working more and more outside the nonprofit model. "They don't need it because they can be fully self-sufficient--like one-person production companies," he says. "They're operating under the radar." Twenty-eight-year-old Michael Jacobs is a freelance field producer for Current TV. He produces two or three commissioned pieces a month, and has managed to hone his directing, producing and camera skills during his day job and apply them to his night job: completing his feature-length documentary, Audience of One. The documentary follows San Francisco Pentacostal minister Richard Gazowsky as he and members of his congregation set out to make an epic Biblical film. It took two years to shoot the film, mostly done in one-man-band fashion by Jacobs himself. Initial funding wasn't vital, as Jacobs owns a videocamera, and could record sound with a shock-mounted mic. When the situation called for it, a sound recordist would comprise Jacobs' only crew member. The church where initial shooting took place is only two miles from Jacobs' home, so production costs were low. "It was easier to get access and form relationships with a minimal crew," says Jacobs. "In a way, it was a necessity to be a one-man band." Jacobs tried a three-pronged approach to procure funding. He submitted to ITVS, and made it to the second round of proposal reviews. Ultimately, he felt his subject matter was more commercial than that of the documentaries he was up against. It was an impetus to try to find investors or cable sources. By the time he and his producers were pitching to investors, 90 percent of principal shooting had already been completed. The team found it much easier to raise funds mainly for post-production, and the investors could feel more comfortable investing in a project that was so far along. Now there's interest from A&E Indie in the documentary. This past March, Audience of One premiered at SXSW in Austin and New Directors/New Films in New York. Across the bay from Current TV sit the West Coast offices of Frontline in Berkeley. Across the street from the Frontline offices is the UC Berkeley School of Journalism, where Jon Else has developed an influential documentary graduate program. The school has won 50 percent of the Student Academy Awards over the last three years. The relationship between Frontline and the graduate students goes beyond one of mere proximity. Frontline provides a training ground to working in the documentary world. "We can train people to have staff positions at CNN or PBS and be independent filmmakers," says Else. The larger goal of the graduate program is to teach students to produce work that ultimately gets shown. "The thesis films are intended for broadcast," Else says. "We train students to make five-to-twenty-minute documentaries that have an opportunity to be on shows like Frontline World. A fair amount of thesis films have screened on Frontline World, and even on Frontline. Some are picked up by HBO. Working in documentary is still a struggle; you're never going to be flush, but we can make it a career option." "Most people are ‘filmmakers plus something else,'" remarks Alex Beckstead, who works as a freelance editor while he finishes his second documentary, Paperback Dreams. The documentary is a profile of independent bookstores and their waning presence on the American cultural landscape. Unlike Jacobs, who went the private equity route for funding, Beckstead knew that his film idea was a natural fit for PBS. "The audience for bookstores is the audience for PBS," says Beckstead. He was right; he received funding from the California Council for the Humanities and ITVS via the LINCS fund in partnership with KQED, the San Francisco-based PBS affiliate. (To apply for a LINCS fund, filmmakers must create a partnership with a PBS station.) Still, the road to funding is a rough one. "Hardly anyone gets an idea funded anymore," says Beckstead. "Funders can now wait to see something that is basically a finished film. I've never gotten Open Call money from ITVS. You have to be at the rough-cut stage to actually get money. Why not wait for all that content? It's less risk on the part of the funder." For Beckstead, it has been five years between finishing his first and second films. "This is no way to build a career--and not a particularly well-paid one at that!" The "working without a net" feeling of documentary filmmaking draws some to the Bay Area. Ben Pierce joins the short, short list of the intrepid few who have chosen documentary filmmaking as their second career. After retiring as a principal dancer with the San Francisco Ballet, Pierce enrolled in the Digital Video Intensive at San Francisco State. "I didn't sleep for five months!" he exclaims. Pierce made a mandate with himself that he would continue the same effort he used in getting an education into looking for a job. He eventually became a field producer on Spark, a documentary series on KQED. He's also in the early stages of production on a documentary about a rarely performed dance piece. Understanding how difficult filmmaking can be, Pierce applies some wisdom he learned from his dance days: "I know from being a dancer that every time I got back on stage, it got better." Given that Frontline and Current TV have offices in the Bay Area, a documentary industry of some sort seems to be brewing. KQED's Spark and Truly CA: Our State, Our Stories have signaled a resurgence in locally-produced series for the station. Like Current TV, AtomFilms Studio is a San Jose-based development and production company investing in online video content. Online DVD companies Netflix and its lean-and-mean competitor, GreenCine, have set up shop there, cementing the Bay Area's mix of art and technology. The San Francisco Film Center in the Presidio, the newly launched Oakland Film Center, the Bay Area Video Coalition, the Ninth Street building that houses Film Arts Foundation, the Center for Asian American Media (formerly known as NAATA), and Frameline--which puts on the San Francisco International LGBT Film Festival--all support filmmakers and their work. Several nonfiction production companies, which produce work for everything from National Geographic to PBS, have emerged to fill the need for more content on cable, television, DVDs and online media. Actual Films in San Francisco produced Else's latest work, Wonders Are Many, a film about an opera with an odd subject matter: the building of the atomic bomb. Other companies, such as Kikim Media in the South Bay, Michael Hoff Productions in Emeryville and the nonprofit The Working Group in Oakland all create documentary programming. "The documentary community here is a hugely diverse field in terms of experience level and age, which is great, but there is also a fractured sense, which can be a curse," says Else. "Work can be a force to meet people; work is the goal, the basic unit of documentary." With the amalgam of technology, new distribution channels and receptive audiences, making a living from documentaries seems more possible than ever before. "Fifteen years ago, everyone wanted to be in a band; now everyone wants to be a filmmaker," quips Hong. Beckstead has said that wherever he's lived, he's had "city-envy." When he lived in Salt Lake City, he'd long for another place. He had the same feeling when he visited Boston. That feeling went away when he moved to the Bay Area. "Everybody who lives here wants to believe that what they do has meaning. For that reason, there will always be a pull here for documentary filmmakers." After spending half her life in the Bay Area, indie producer Lily Ng now lives in Los Angeles.